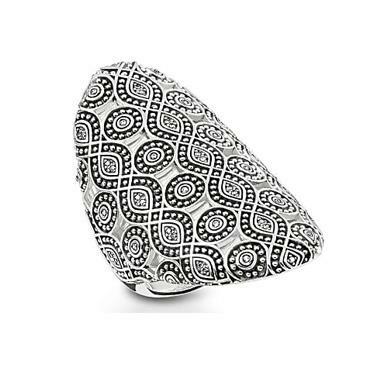 This elaborate ring by Thomas Sabo is crafted from oxidised 925 Sterling Silver. Its elongated design features a repeating infinity pattern with White Cubic Zirconia accents. Perfectly 'boho chic'.